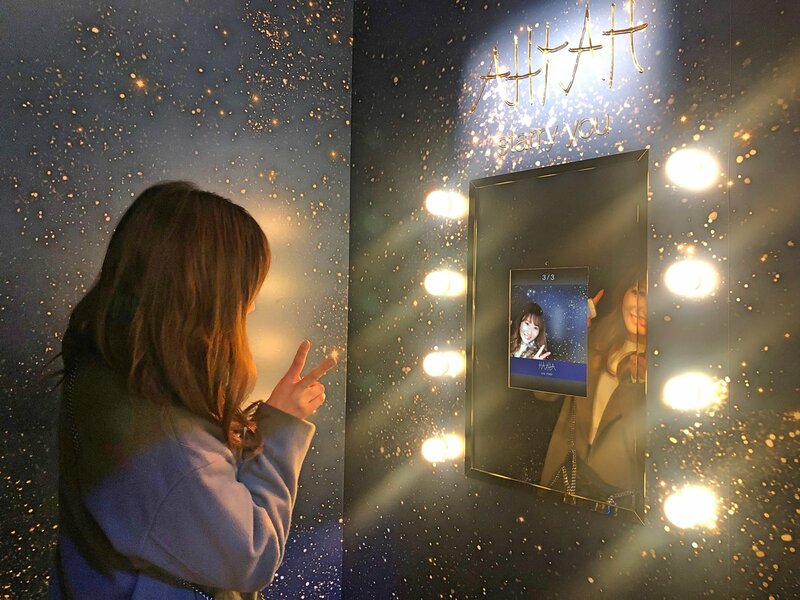 The #MirrorSnap unit was a smash hit at a Christmas special event staged by the jewelry brand “AHKAH” from December 19 to 25 at its boutique at the Shinjuku Branch of Isetan Department Store in Tokyo. 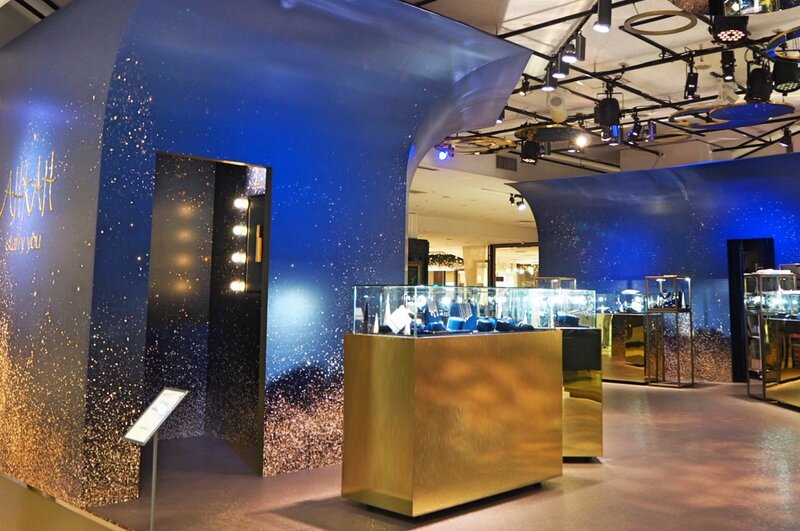 Introduced for this occasion was an “animation frame” engineered to generate visionary images of stars dancing in the night skies, then cascading down into ocean waters. 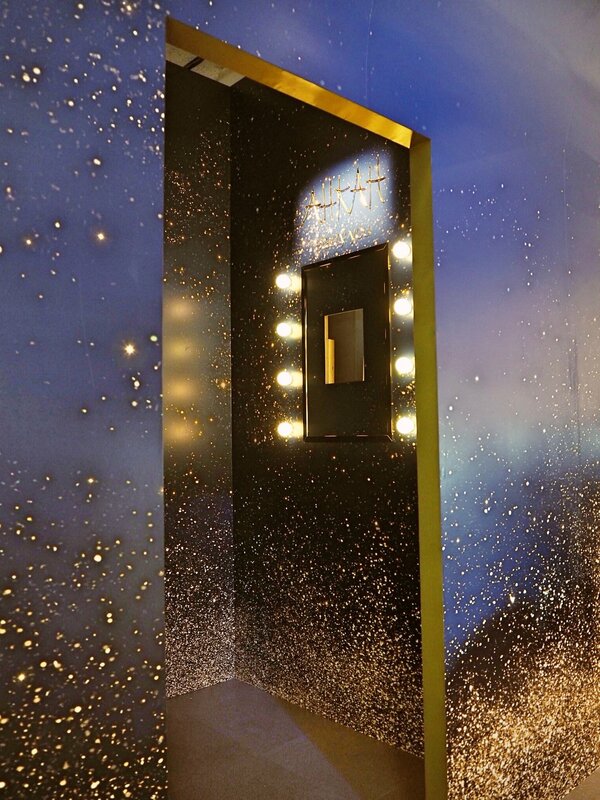 To maximize the experience, a wall was built into the photo booth where the #MirrorSnap was installed to effectively create a box-like zone. The result was snug personal space richly appealing to guests for the ability to snap photos in even more relaxed and laid-back surroundings.